Enchanted Excurse: Do You Have Confessions? Evening Loverlies! I just finished reading Confessions Of An Ugly Stepsister by Gregory Maguire. I wasn't really that into this book to where I felt I could not put the book down. I believe it did keep my interest slightly and was written well. The story was a different then what we normally know of Cinderella, and it was a very interesting take on it. The only thing I would have to say I didn't enjoy about this book was, some of the words just felt unnecessary. It seemed some of the sentences where they were talking and gossiping were very wordy, and it was hard to keep focus on it. Other then that part it was an okay book. I am hoping when I do get a chance to read Wicked, I will find it a better read. We shall see! Have A Blessed Day! We all have heard the story of Cinderella, the beautiful child cast out to slave among the ashes. But what of her stepsisters, the homely pair exiled into ignominy by the fame of their lovely sibling? What fate befell those untouched by beauty . . . and what curses accompanied Cinderella's exquisite looks? 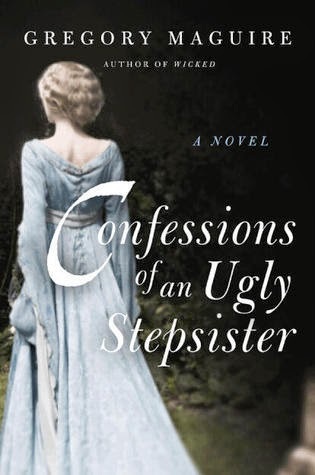 Set against the rich backdrop of seventeenth-century Holland, Confessions of an Ugly Stepsister tells the story of Iris, an unlikely heroine who finds herself swept from the lowly streets of Haarlem to a strange world of wealth, artifice, and ambition. Iris's path quickly becomes intertwined with that of Clara, the mysterious and unnaturally beautiful girl destined to become her sister. While Clara retreats to the cinders of the family hearth, burning all memories of her past, Iris seeks out the shadowy secrets of her new household--and the treacherous truth of her former life.